For some time now I have had an iPad2 and it has radically changed the ways I have done business. iPads are great for emails, writing, travel, reading you name it. As some of you might have noticed my Dad has shown how great it is for photos. Well I couldn’t agree more that it is awesome for photos. When meeting a client it’s great to have it, bring it out during the conversation and show off previous work. Well I’m actually here not to talk so much about the iPad2 itself but more about a case that i found for forty bucks! A month ago down in Arizona, we stopped at a Best Buy looking for accessories. Besides getting a shield protestor for the screen, which is a must even for ten bucks a piece, the Targus Vuscape Cover and Stand stood out amongst all others. This is a great little case. It’s leather so automatically it looks looks professional when carrying. It’s really thin which if you travel a lot is great because it doesn’t take up much space. For me it’s great because it’s so thin i can keep it in my sling bag when I’m out shooting. Next it clips in. As you can see here there are four clips that hold it in while the other two can go loose and allow the iPad to stand up. 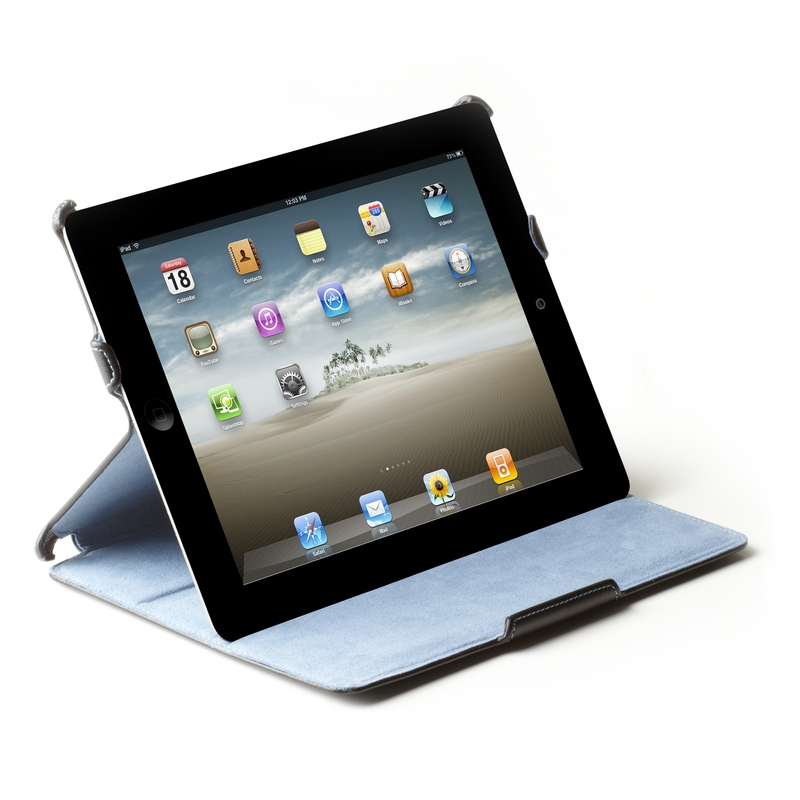 The cover has built in slots so that it’s ideal for standing up while watching movies, listening to music, or reading. I found it’s great to have in the office, it stands up, Pandora is running, work is getting done. I really like the thought that went into this hard case and it might be worth your time to go look.